Below you fill find all funeral homes and cemeteries in or near Plattsburg. Plattsburg is also known as: Clinton County / Plattsburg city. Zip codes in the city: 64477. Clinton County funeral flowers can be purchased from one of the local funeral shops we partner with. Some of the notable people born here have been: (henry robinson clay), and (james c. marshall). 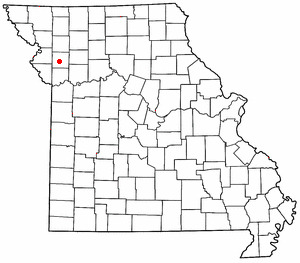 Plattsburg is a city and county seat of Clinton County, Missouri, United States, which is located along the Little Platte River. As of the 2010 census, the city population was 2,319. It was revealed by Topeka Capital-Journal on February 1st, 2018 that Helen Francis Allen (May) died in Topeka, Kansas. Ms. Allen was 72 years old and was born in Plattsburg, MO. Send flowers to express your sorrow and honor Helen Francis's life. It was revealed on December 20th, 2017 that Betty F Evans (Ritter) passed on in Plattsburg, Missouri. Ms. Evans was 85 years old. Send flowers to share your condolences and honor Betty F's life. It was disclosed by Topeka Capital-Journal on April 18th, 2015 that Agnes Clifton passed away in Topeka, Kansas. Clifton was 93 years old and was born in Plattsburg, MO. Send flowers to express your sorrow and honor Agnes's life. It was disclosed on July 10th, 2014 that James Lee Boileau passed away in Plattsburg, Missouri. Boileau was 62 years old. Send flowers to share your condolences and honor James Lee's life. It was disclosed by Kearney Hub on June 23rd, 2014 that Dennis L Jr O'Connor perished in Kearney, Nebraska. O'Connor was 80 years old and was born in Plattsburg, MO. Send flowers to express your sympathy and honor Dennis L Jr's life. It was written by Kearney Hub on February 15th, 2014 that Kathleen Marie "Kate" Seberger (O'Conner) perished in Lexington, Nebraska. Ms. Seberger was 78 years old and was born in Plattsburg, MO. Send flowers to express your sympathy and honor Kathleen Marie "Kate"'s life. It was written by Register Guard on July 6th, 2013 that Lawrence ?Bud? Aitken passed away in Eugene, Oregon. Aitken was 86 years old and was born in Plattsburg, MO. Send flowers to share your condolences and honor Lawrence ?Bud? 's life. It was revealed by The Liberty Tribune on May 30th, 2013 that Adrienne Gilbert (Ames) perished in Plattsburg, Missouri. Ms. Gilbert was 79 years old. Send flowers to express your sorrow and honor Adrienne's life. It was noted on January 9th, 2013 that Betty Lou McKinley (Trimmell) passed on in Plattsburg, Missouri. Ms. McKinley was 85 years old. Send flowers to express your sympathy and honor Betty Lou's life. It was revealed by Sacramento Bee on November 27th, 2012 that Patricia Ann "Pat" Broyles died in California. Broyles was 83 years old and was born in Plattsburg, MO. Send flowers to share your condolences and honor Patricia Ann "Pat"'s life. Originally, the city was called Concord, which is currently still the name of the man-made lake and surrounding housing development there. It is the county seat of Clinton County, Missouri County . Plattsburg is a city in Clinton County, Missouri County, Missouri, along the Platte River (Missouri)#Tributaries Platte River. During that war, two minor battles took place nearby and the town was occupied by both Confederate States of America and Union (American Civil War) forces. Prior to the American Civil War, the area was a leading producer of both hemp and tobacco. The official website for the city of Plattsburg is http://www.plattsburgmo.com/. Find embalmers & Embalmers in Plattsburg, MO. Read business reviews, find driving directions, and more. embalmers on YP.COM. Listing for Bailey & Cox in Plattsburg, Missouri, which deals with funerals and cremation. We work with local florists and flower shops to offer same day delivery. You will find budget sympathy flowers in Plattsburg here. Our funeral flowers are cheap in price but not in value.